Young entrepreneurs and startups in Cambodia are seeking for opportunities to enter the country’s growing business market, and they need co-working spaces to work in, as seen in the growing number of such spaces popping up across the country. Geeks in Cambodia went to check out one of the newest co-working spaces here in Phnom Penh, Saha’ka. Located in the southern part of the city, the company was founded by four ladies who were determined to provide an affordable and professional co-working space. After touring the 2-level workspace, we sat down to chat with Lim Mouktita and Sam Ratanaktepy, two of the founders. What was the key business idea behind starting Saha’ka? Ratanaktepy (R): In Khmer, Saha’ka means to collaborate. We wanted to create a place that has a standard of professionalism but is affordable at the same time. We also wanted to make it a collaborative space where startups and businesses would be able to learn from one another. Mouktita (M): For Saha’ka, we aim to serve business startups that need a quiet zone to focus and get their work done. 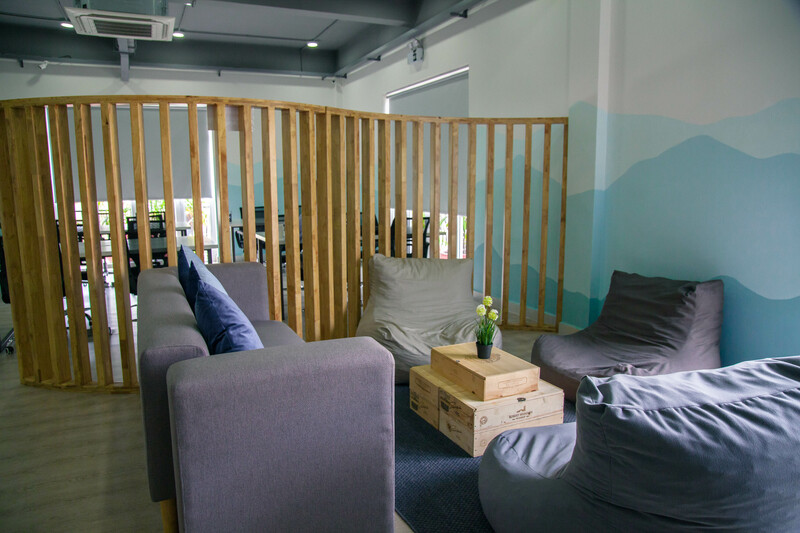 Before the establishment of co-working spaces in Phnom Penh, it was a common sight that coffee shops were the to-go space for business people to do their work and meet clients, so with co-working spaces, we provide them with another affordable yet professional option to choose from. 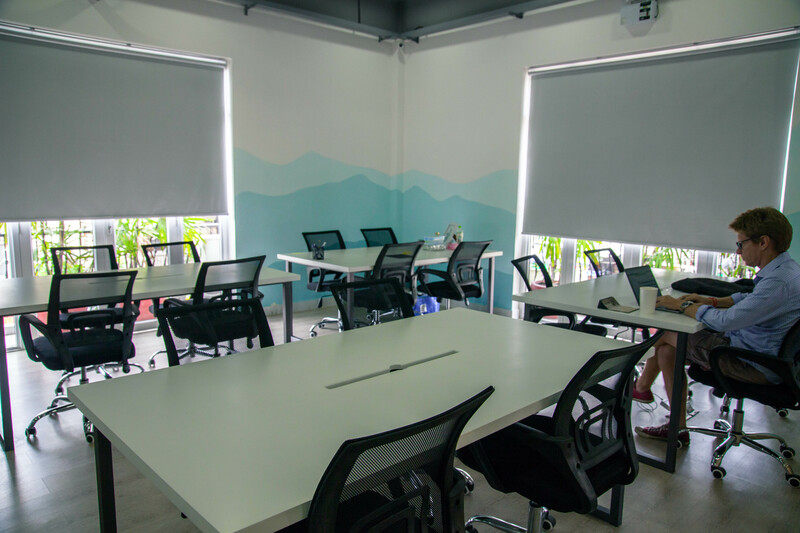 Why did you choose to start a co-working space here in Phnom Penh? (M): One of the reasons of starting a co-working space was for our own personal use. Before we started this, I visited the other co-working spaces here in Phnom Penh hoping to find a suitable space for myself to work in. However, I realised that there were huge differences in standards. The ones that had a high standard were too expensive, whereas the affordable ones are very small and basic. I could not find something in between, a co-working space that is affordable yet of a decent standard. (R): At the same time, there are many emerging startups in the market. If you are very involved in the ecosystem, you are bound to know others and have your own connections. However, if you are new to the ecosystem, you know nothing and would be lost. Hence, we also had the idea that we wanted to have a place where people are able to come around and get connected to the ecosystem and community, which would help them to grow and learn from mentoring opportunities. What makes your co-working space different from the other co-working spaces in the city? (R): We definitely want to portray Saha’ka as a space that provides you with a certain professional standard, as well as a bright, fun and energetic collaborative space that is not too casual. (M): One distinct point that differentiates the various co-working spaces is the different groups of people that comes to our space. For example, Impact Hub caters towards helping with social needs and providing mentorship whereas the demographics of other co-working spaces are university students. Saha’ka receives a lot of applications from SMEs, people from foreign companies in the APAC region that wants to kick start their business in Cambodia, freelancers and entrepreneurs. How do you stay relevant in the market? (M): We are focusing on being up to date on the things happening in the co-working sector, and also involving ourselves and participating in the ecosystem as well, such as the recent TOP100 APAC Cambodia Qualifiers, and the upcoming Campus Party Singapore. Attending these events will mentor us a little, giving us exposure of what is happening in neighbouring countries. With that, it gives us a better idea of how we can change and improve ourselves to keep up with the trends. What are some challenges you have faced, and opportunities that you have received? (M): The first few months is always difficult because you are just taking the first step and no one knows about you. Trying to do branding and advertisements for the company at the beginning is always hard, especially when people in Cambodia are unfamiliar with the term co-working. But gradually, we have seen an improvement in recognition, through feature articles and our office occupancy is also increasing monthly. (R): Another challenge that we faced initially was having a direction for the company as it is dependent on the members that we have. After a few months, we roughly got the hang of the types of member we have and now we are proud of the direction that we have set. Where do you see Saha’ka in 5 years time? (R): We are working towards making Saha’ka a central hub to connect countries in the APAC region to the ecosystem in Cambodia, and focusing on innovation and ICT. In the future, we also have plans for expansion in our space as well as our services. We want to learn from our startups that start here, and grow together with them. Growing in the sense that when they expand their business in the future, with more employees, we want to be able to support them with the space that they require to run their business. (M): I mentioned that our demographics are mainly SMEs from overseas looking for a space to expand their business here. Currently, we help them with basic administrative work, like business registrations. 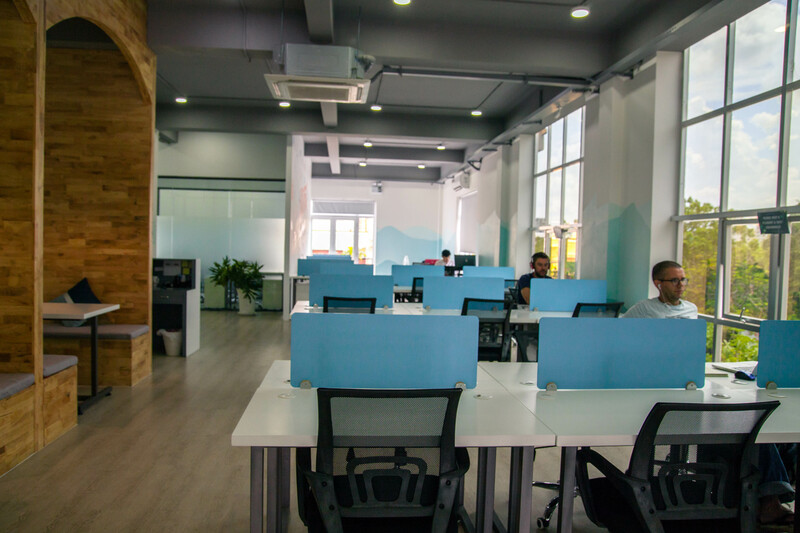 However, in the future we also aim to expand our services to assist and provide a database suitable for companies who are utilising our co-working space. Saha’ka’s approach allows for a cosy space filled with natural light, vibrant wall colours and neat rows of tables, bringing about a conducive environment to work in. Not forgetting the pantry and lounge area to encourage networking and connections. To learn more about Saha’ka, you can check out their facebook page here.